In the previous part of this tutorial, I demonstrated the procedure to create & customize the SqlDiag.xml for use with the SQLDiag utility. 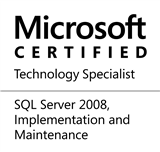 I began by going through the manual editing process, followed by the graphical utility – SQLDiag Configuration Tool – from CodePlex. Today, in the final part of the tutorial series on the Profiler, I will demonstrate how to use SQLDiag to consume this modified SqlDiag.xml. In order to prepare for this demo, I have a pre-created SqlDiag.xml file using the SQLDiag Configuration Tool. For this demo, I will be running the following test workload against my SQL Server. You can notice that the workload involves adding large amounts of data into the SQL Server followed by some reads from this table. WARNING: THIS SCRIPT IS PROVIDED FOR DEMONSTRATION PURPOSES ONLY. There are lots of other input parameters, however, for the purposes of this demo, we will keep things simple. We will be stopping the trace manually. Also, we will not be overriding the configuration files and therefore, the only input we need to provide is the configuration file and the output path. As mentioned in my previous post, the SQLDiag requires that the user be a member of the sysadmin fixed server role at the SQL Server instance being monitored. In addition, the user must also be a local administrator on the server being diagnosed. SQLDiag.exe /I SQLDiag100.xml /O "C:Program FilesMicrosoft SQL Server100ToolsBinnSqlDiagOutput"
All that remains now is to open these using the SQL Server Profiler as demonstrated in tutorial part #6 (SQL Server – Profiler – Part 6 – Correlating the Profiler Trace with Windows Performance Log Dat) of this series. This concludes my series on the SQL Server Profiler. Profiling is an art, and I would request everyone to take the time out and practice profiling on your test systems. The Profiler is a double-edged sword. If used incorrectly, Profiler can (and will) result in severe performance issues. If used correctly, it is an excellent debugging and troubleshooting tool, and may also prove to be a lifesaver. I hope you liked the series. Do leave your valuable feedback, and have a nice day ahead! This entry was posted in #SQLServer, Blog, Imported from BeyondRelational and tagged #SQLServer on March 15, 2012 by nakulvachhrajani.